Whether it comes to a spinet, a concert grand piano, or an upright piano, each of them is a heavy instrument with large dimensions susceptible to mechanical damage. Some of them can reach a weight of more than half a ton (especially it concerns vintage instruments of the late 19th and early 20th centuries). In order to transport such a demanding cargo, it is necessary not only to correctly calculate the dimensions, but also to find a team of strong and skilled piano movers. However, first of all, the owners have to compare the dimensions of the piano with the major “barriers” that may arise, such as doorways, stairs, entrance door, etc. In this way, you should understand that only a professional moving company can provide a full range of services for the transportation of the oversized musical instrument and guarantee the safety of such a valuable and demanding item. Fine Art Shippers can do it quickly and at an affordable price! So, the main problems are the out-of-gauge dimensions and the heavy weight of the instrument. 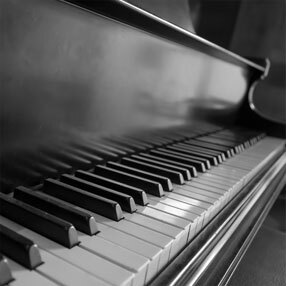 By the way, the weight of the piano varies in the range from 100 to 400 kg, and if we speak of the real concert grand piano, then it is about 800 kg. That is why the movement of such a large item even inside the building can become a dangerous undertaking. Do not do it yourself or with the help of the ordinary shipping company that usually does not know the main features of piano moving. Thereby, if you need to transport such a valuable cargo, use only the services of professional companies that have a staff of certified piano movers with the great experience needed for the correct transporting. Besides, Fine Art Shippers also provide a variety of other services connected with piano and grands moving, including piano storage, insurance, local, long-distance, interstate, and international shipping, and many others. Entrust the transportation of your favorite musical instrument to the team of professionals. The cost of our services will pleasantly surprise you!